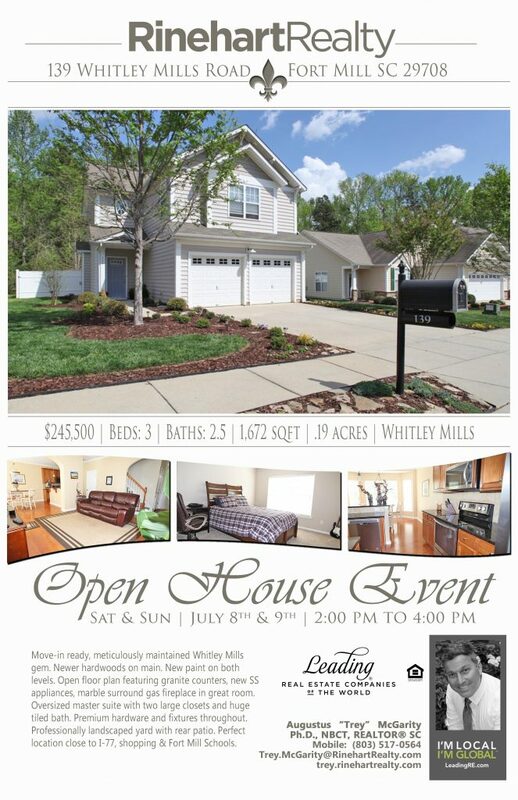 A Fort Mill Home Tour Event! Move-in ready, meticulously maintained Whitley Mills gem. master suite with two large closets and huge tiled bath. shopping & Fort Mill Schools.